2018 will see the launch of the second Deliveroo Editions in Asia. 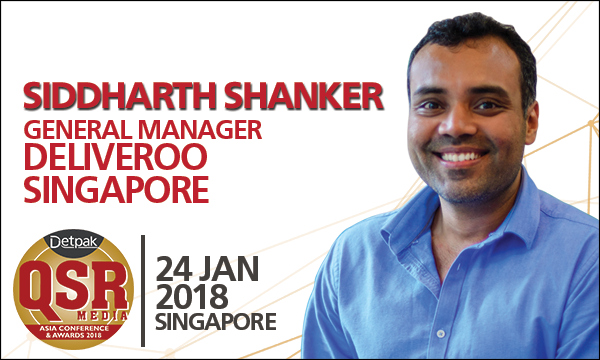 Siddharth Shanker, Deliveroo Singapore’s new country general manager, is previously part of the pioneer team at Uber India. With an INSEAD MBA and a NUS B. Eng. Honors degree, Siddharth specialises in building businesses from the ground up, developing high-performance teams, and managing data-driven operations. He has lived, studied, and worked in Singapore where he was with Barclays Capital for 5 years, giving him an international perspective as well as a first-hand understanding of fast-growing markets in Asia. In 2013, Siddharth joined Uber India and led a growing team to build the company from the ground up. During his tenure, he acquired millions of riders and helped to create tens of thousands of jobs in Hyderabad, Kolkata and Ahmedabad. In 2017, Siddharth decided to make the move to Singapore, lured in part by the call of his favourite dish, chilli crab. Joining the Deliveroo Singapore team, he brings with him a wealth of knowledge on how to translate a global success story at a local level. At Deliveroo, he is responsible for increasing brand awareness and penetration in an increasingly competitive market, while inspiring a growing team of passionate individuals with diverse backgrounds and experiences. QSR Media: What are your previous experiences and positions held that contributed to who you are as an industry expert today? I joined Deliveroo in January 2017 and currently lead the Singapore office, driving its expansion and development. I have lived, studied and worked in Singapore, India and France over the last few years, which has given me an international perspective. In the last decade, my experience has been in hyper-growth industries which are being transformed by the power of internet and technology. I was at Uber prior to Deliveroo where I was charged with building their India office from the ground up and launching operations in two of India’s top cities - Kolkata and Hyderabad. I joined Deliveroo because I saw so much potential in the model to change the F&B landscape for the better. We are providing restaurants with an additional revenue stream in an increasingly competitive arena and creating thousands of opportunities for work in the countries where we are based. One ambition of mine is for Deliveroo to create a global chef exchange, where top chefs and F&B establishments from all over the world can host pop-up restaurants at our Deliveroo Editions sites in multiple countries – providing consumers the ability to have international gourmet experiences from the comfort of their home. Ultimately, our vision for Deliveroo is to provide such an extensive range of food types and price points that consumers can turn to us for every meal of the day. From kaya and kopi for breakfast to laksa or bak chor mee for dinner, we want to become the trusted foodie partner at every mealtime. QSR Media: What are your key business philosophies? I firmly believe in looking towards the future, growing our team and considering how we can innovate the food delivery industry. Our goal is to deliver people’s favourite food, with the best service for both consumers and restaurants by building a strong team, while also providing flexible work for our riders. Here at Deliveroo, our people and riders form the basis of the business, which is why we will continue to place an emphasis on investing in our people, restaurants partners and technology to make this work. There are also many ways that technology can improve the way we do things. At Deliveroo, we use technology to make a very real impact to our customers, riders and restaurant partners. We recently launched our new algorithm, Frank, which has reduced service times by 15%. This enables restaurants to save prep time on each meal, intuitively matches riders with orders so that they can complete more deliveries in any average shift and ultimately, gets customers their meals quicker than ever before. QSR Media: Any upcoming projects that you would like to share? Deliveroo Editions, our delivery-only kitchens are already in Asia (Singapore and Hong Kong). We launched our first kitchen in Katong in Singapore earlier in April 2017 and are planning for our second kitchen launch in Q1 2018. We also recently launched our very first Editions kitchen in Hong Kong in September. Our delivery-only sites can house multiple restaurant brands under one roof, enabling us to bring some of each country’s most popular food into new areas, improve delivery times and increase revenue for restaurants -- all backed by unique Deliveroo data. Expanding Deliveroo Editions in our key markets will continue to be one of our main priorities so as to bring consumers access to the brands and food they love, whilst giving our restaurant partners more flexibility and revenue potential. For example popular greek restaurant, Blu Kouzina, saw its revenue increase by 550% in just four months after setting up at our Deliveroo Editions site in Katong (Singapore). 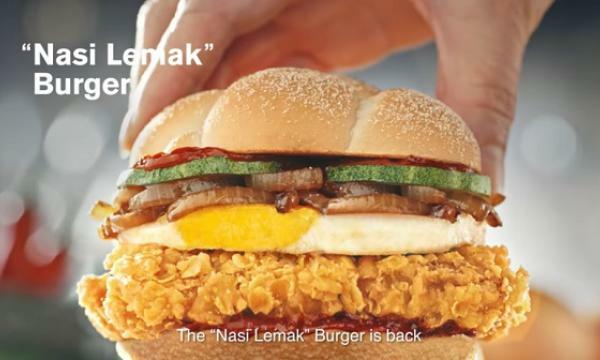 QSR Media: Can you give us a glimpse of what will you be sharing in the panel session? In our panel, I will mostly focus on the Deliveroo story so far and where we are headed. I'll also discuss the trends we see in the market, as well as the interesting QSR and Deliveroo case studies. 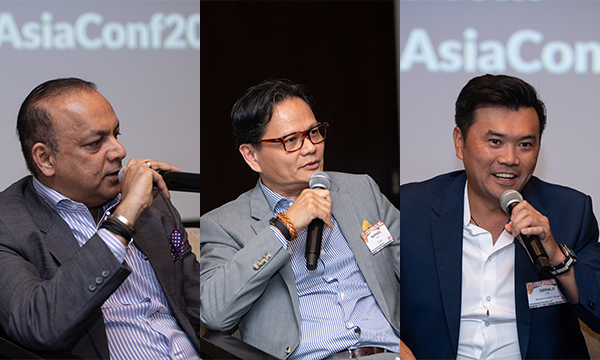 The QSR Media Asia Detpak Conference and Awards will be on January 24 at the Grand Copthorne Waterfront Hotel Singapore from 8:30 AM to 4:55 PM. If you are interested to attend the conference, you may contact Nikki at nikkiq@charltonmediamail.com or at +65 3158 1386 ext 238.